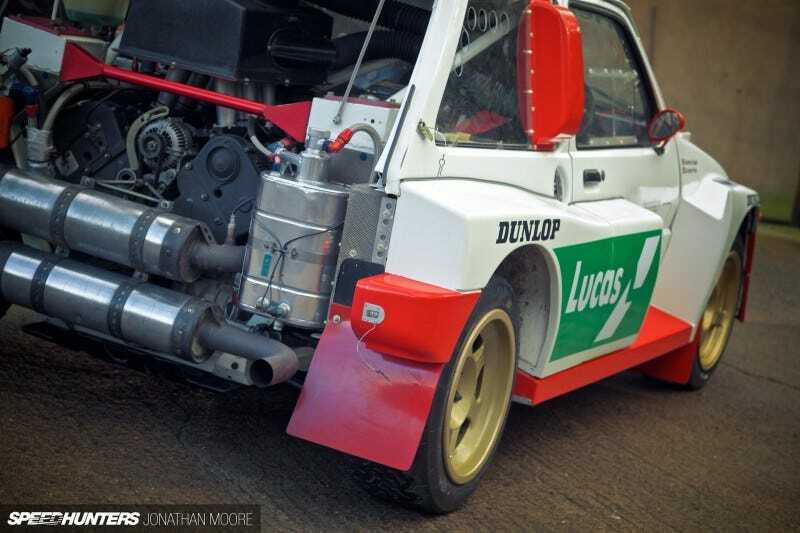 The Metro 6R4 went down in history as the ugliest Group B contender this side of a Citroën BX 4TC, the car that gave its engine to the Jaguar XJ220, and the naturally-aspirated pocket rocket surrounded by all those turbo giants. 30 years on, it remains just as exciting as at its premier. Sure, the tiny Metro was as far from being the most successful Group B car as from being an Austin Metro, but that hardly matters now. What's still worth your attention is what a crazy machine it is from tip to toe. It looks a bit like a Peugeot 205 T16 that was built in shed in a hurry, but by the best engineers Williams Grand Prix Engineering could offer in true British fashion.